Announced earlier this week, Nissan has designed new battery technology for electric vehicles that cuts charging time from eight hours down to just ten minutes to fully recharge the battery. Assuming electric vehicle charging stations become more wide------ across the United States, a driver could potentially take a long-distance trip from New York City to Los Angeles only having to stop for ten minutes at a time to recharge the vehicle. Researchers at at Kansai University in Japan claim that the breakthrough in this charging method comes from swapping out the electrode utilizing carbon inside a capacitor to an electrode using tungsten oxide and vanadium oxide. The downside to the announcement is that perfecting and commercializing the technology is likely going to take up to a decade to reach consumers. While Nissan waits for the 10-minute battery charger, the company is aggressively supporting quick-charging stations that can recharge a battery to 80 percent capacity in approximately 30 minutes. 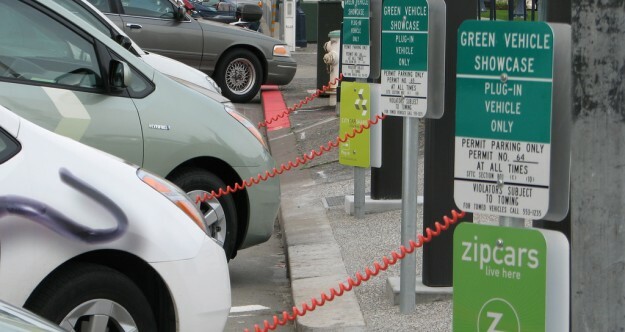 Nissan is working with DBT, Europe’s largest charging station manufacturer, to build smaller DC fast chargers that will cost user $15,000 and become available during early 2012. DBT is also scouting locations for a U.S. manufacturing plant that will likely roll out the new charging stations to U.S. locations.